I recently had the honor of meeting The Queen of Blending (Lauren) at a Sephora event here in Arizona. 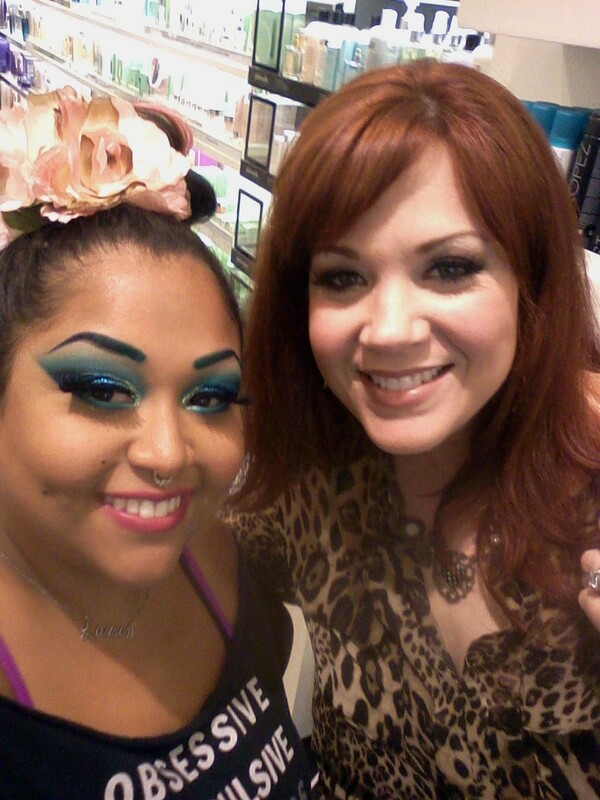 She has been a makeup artist icon of mine since FOREVER! I've been watching her YouTube videos for years and I love her bold use of color, incredible creativity, and flawless technique. For me it was quite a dream come true to actually meet her in person! Let me just say that I think she is one of the sweetest, most down to earth, most beautiful, friendliest people ever. She had a way of making everyone feel welcome and like one of her friends. It was such a cool experience for me to meet her in person after years and years of watching her videos. I've probably watched more of her videos than I have watched actual TV! (That might be a stretch, but it's close!) I consider her to be one of the founding and elite makeup artists on YouTube. Here are some of the pics from the event. I didn't take too many, but the ones I got I think are priceless!! I also met some fab friends there too! This is Sergio and I was drooling over his makeup! 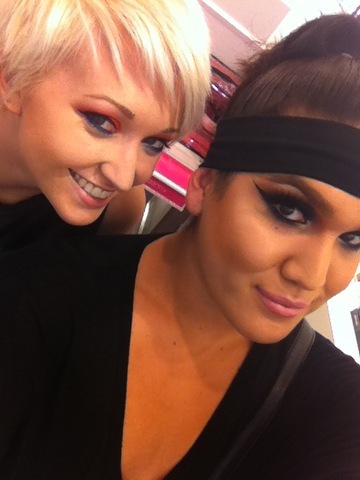 Sergio is a makeup artist for MAC over at Arrowhead and my new BFF! If you see him, tell him I said hello! Also, before I arrived Leesha (xsparkage) was there! Bummer I missed her, but Sergio sent me this adorable picture so I could post it :-) How cute is this!?!? I hope you have a blessed week!! Thank you so much for visiting! YAY!! Isn't she awesome?!? Me too!! We had a great time, it was so incredible being able to meet her! Thank you, Deja!! You are too sweet!!! xo! Whaa!! I'm so jealous you got to meet her!!! I've been a fan for so long and her videos are amazinggg. Love watching them! Her makeup looks flawless! I died!! I love her videos, too!! Her makeup was absolutely flawless! xo!